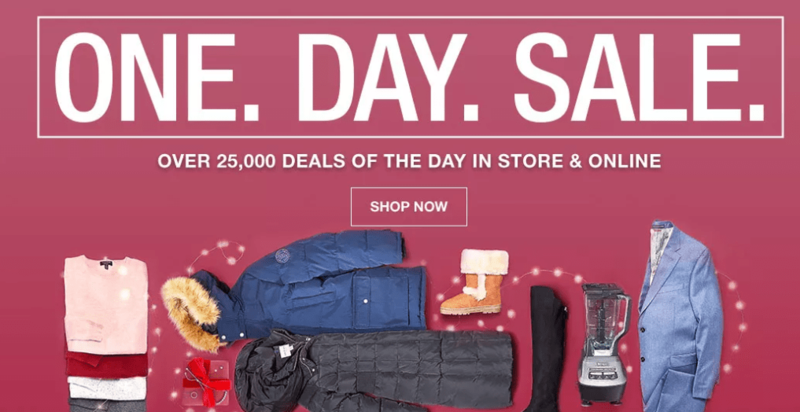 Macy’s One Day Sale starts today & runs through tomorrow, 12/18 – 12/19 (yes it really is a 2 day sale even though they call it a one day sale). There are some awesome deals to be had with this sale when you stack all of the savings opportunities! Shop the One Day Sale discounts here. You can get FREE shipping with a purchase of $25 or more. PLUS, When you shop using one of our links in this post, you can also submit for a rebate up to $25! The rebate found here is good for $10 off your purchase of $50-$99.99 or $25 off your purchase of $100+. 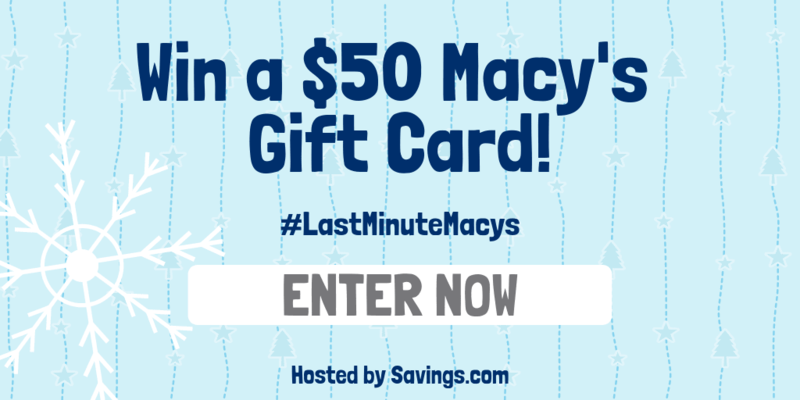 AND, enter the #LastMinuteMacys gift card giveaway to win one of 20 $50 Macy’s gift cards. Right now, there are some great deals in the kitchen department on small appliances, with a mail-in rebate of $10 – $20, to make the prices even lower on several kitchen appliances. Pay $53.99 plus tax, and get free shipping. Submit for the $10 off your purchase of $50-$99.99 here. 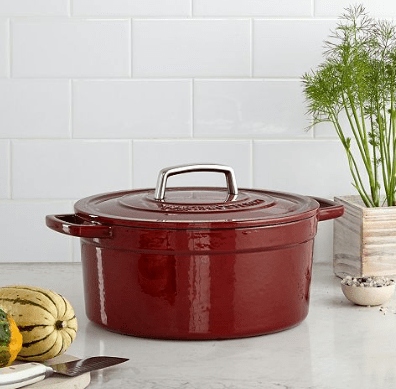 That makes this dutch oven just $43.99 after rebate and sale prices – such a great deal!! Another great offer is this 3 qt soup pot with lid, that you might want to add to your order. It is regularly $44.99, but its on sale for just $19.99 during one day sale, and there is a $10 rebate available here, making it just $9.99 after rebate! Check out all of the great deals in the Macy’s One Day Sale here too! Hi Ryan, thank you for alerting us to that error. We have updated the post to take that rebate link out, and apologize for missing that it expired yesterday. If you did not want the dutch oven without it, you should be able to call customer service and they can correct that for you. Again, thank you for letting us know, and we have updated the content to remove reference to that.